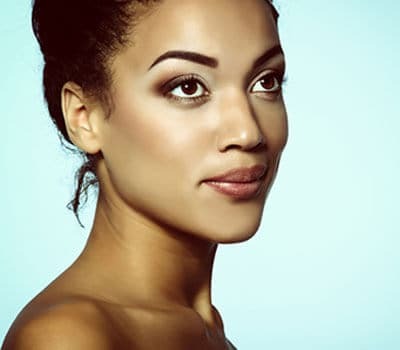 Necklift surgery can be performed alone or in combination with a facelift. The goal of this procedure is to remove the excess fat in the neck and tighten the neck muscle and skin to re-create a youthful neck profile. The incisions are similar to those of a facelift procedure except that they do not extend to the hairline. A small incision placed under the chin is usually needed to maximize the results, especially when bands are present. Fat removal is not always performed and can be accomplished in certain patients with liposuction. Who is a good candidate for necklift? The best candidates for necklift are healthy individuals with loss of neckline definition due to skin laxity, fat deposits and/or formation of platysmal bands with redundant skin in the central area below the chin. Necklift alone is a popular procedure among men who have redundant skin in the neck area and do not desire tightening of their facial skin. What is a “platysmal band”? The platysma is a sheet-like muscle that spans the neck. Adhesions between the edges of the muscle and the skin result in vertical bands that form in the central area of the neck. These bands are known as platysmal bands. A properly performed necklift should treat the bands and smooth the surface of the neck. Tightening the neck muscle helps restore a youthful neckline. Necklift is performed as an outpatient procedure, often under general anesthesia. If the degree of improvement desired is minimal, then local anesthesia with sedation can be considered. Sometimes a drain is placed and removed the following day. You can engage in light activity starting the day after surgery. Return to normal activity and exercise may take one to two weeks. Minimal bruising and swelling are expected after surgery and usually resolve within a week. If you’d like to schedule a consultation with Mohammed Alghoul, MD to discuss neck lift, please call (312) 695-3654 or contact us via email.